"DiCaprio" redirects here. For his father, see George DiCaprio. DiCaprio was born in Hollywood, California, the only child of Irmelin (née Indenbirken), a legal secretary, and George DiCaprio, an underground comics artist and producer/distributor of comic books. DiCaprio's father is of Italian (from Naples) and German (from Bavaria) descent. DiCaprio's maternal grandfather, Wilhelm Indenbirken, was German. His maternal grandmother, Helene Indenbirken (born Yelena Smirnova; 1915–2008), was a Russian-born German citizen. In an interview in Russia, DiCaprio referred to himself as "half-Russian" and said that two of his grandparents were Russian. DiCaprio's parents met while attending college and subsequently moved to Los Angeles, California. DiCaprio's career began with his appearance in several commercials and educational films. After being removed from the set of children's television series Romper Room for being disruptive at the age of five, he followed his older stepbrother Adam Farrar into television commercials, landing an ad for Matchbox cars at 14. In 1990, DiCaprio got his break on television when he was cast in the short-lived series based on the movie Parenthood. After Parenthood, DiCaprio had bit parts on several shows, including The New Lassie and Roseanne, as well as a brief stint on the soap opera Santa Barbara, playing the young Mason Capwell. His involvement in Parenthood and the daily soap earned him a nomination for the Young Artist Award for Best Young Actor each. DiCaprio's debut film role was in the comedic sci-fi horror film Critters 3, in which he played the stepson of an evil landlord, a role that DiCaprio described as "your average, no-depth, standard kid with blond hair." Released in 1991, the movie went direct-to-video. Soon after, he became a recurring cast member on the ABC sitcom Growing Pains, playing Luke Brower, a homeless boy who is taken in by the Seaver family. DiCaprio made his big screen breakthrough in 1992, when he was handpicked by Robert De Niro out of 400 young actors to play the lead role in This Boy's Life. Later in 1993, DiCaprio co-starred as the mentally handicapped brother of Johnny Depp's character in What's Eating Gilbert Grape, a comic-tragic odyssey of a dysfunctional Iowa family. Director Lasse Hallström admitted he was initially looking for a less good-looking actor but finally settled on DiCaprio as he had emerged as "the most observant actor" among all auditionees. Budgeted at US$11 million, the film became a critical success, resulting in various accolades for DiCaprio, who was awarded the National Board of Review Award and nominated for both an Academy Award and a Golden Globe for his portrayal. New York Times critic Janet Maslin praised DiCaprio's performance, writing "the film's real show-stopping turn comes from Mr. DiCaprio, who makes Arnie's many tics so startling and vivid that at first he is difficult to watch. The performance has a sharp, desperate intensity from beginning to end." DiCaprio's first effort of 1995 was Sam Raimi's The Quick and the Dead, a western film. Sony Pictures was dubious over DiCaprio's casting, and as a result, co-star Sharon Stone decided to pay the actor's salary herself. The film was released to a dismal box office performance, barely grossing US$18.5 million in the US, and received mixed reviews from critics. DiCaprio next starred in Total Eclipse, a fictionalized account of the homosexual relationship between Arthur Rimbaud and Paul Verlaine. He replaced River Phoenix, who died during pre-production on the project. A minor art-house success, the film grossed US$0.34 million throughout its domestic theatrical run. DiCaprio appeared in the mostly improvised short film called Don's Plum, as a favor to aspiring director R. D. Robb. When Robb decided to expand the black-and-white film to feature length, however, DiCaprio and costar Tobey Maguire had its release blocked by court order, arguing that they never intended to make it a theatrical release, as it would have commercial value thanks to their stardom. The film eventually premiered at the 2001 Berlin International Film Festival, where it was well received by critics. DiCaprio's last film of the year 1995 was The Basketball Diaries, a biopic about Jim Carroll. In 1996, DiCaprio appeared opposite Claire Danes in Baz Luhrmann's film Romeo + Juliet, an abridged modernization of William Shakespeare's romantic tragedy of the same name, which retained the original Shakespearean dialogue. The project achieved a worldwide box office take of $147 million. Later that year, he starred in Jerry Zaks' family drama Marvin's Room, reuniting with Robert De Niro. Based on Scott McPherson's screenplay adaptation of his own 1991 stage play of the same name, the film revolves around two sisters, played by Meryl Streep and Diane Keaton, who are reunited through tragedy after 17 years of estrangement. DiCaprio portrayed Hank, Streep's character's troubled son, who has been committed to a mental asylum for setting fire to his mother's house. In 1997, DiCaprio starred in James Cameron's Titanic (1997) as twenty-year-old Jack Dawson, a penniless Wisconsin man who wins two tickets for the third-class on the ill-fated RMS Titanic. 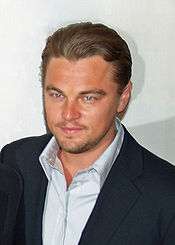 DiCaprio initially refused to portray the character but was eventually encouraged to pursue the role by Cameron, who strongly believed in his acting ability. Against expectations, the film went on to become the highest-grossing film to date (it was surpassed in 2010 by Cameron's film Avatar), grossing more than $1.843 billion in box-office receipts worldwide, and transformed DiCaprio into a commercial movie superstar, resulting in fan worship among teenage girls and young women in general that became known as "Leo-Mania". In May 1998, for example, his face appeared on the covers of at least four teen magazines, and three books about DiCaprio were among the top six paperbacks on The New York Times Best Seller List. More than 200 fans contacted the Academy of Motion Picture Arts and Sciences to protest his not being nominated for the 70th Academy Awards. He was nominated for other high-profile awards, including a second Golden Globe nomination. Upon the success of Titanic, DiCaprio stated in 2000: "I have no connection with me during that whole Titanic phenomenon and what my face became around the world [...] I'll never reach that state of popularity again, and I don't expect to. It's not something I'm going to try to achieve either." The following year, DiCaprio made a self-mocking cameo appearance in Woody Allen's caustic satire of the fame industry, Celebrity (1998). That year, he also starred in the dual roles of the villainous King Louis XIV and his secret, sympathetic twin brother Philippe in Randall Wallace's The Man in the Iron Mask, based on the same-titled 1939 film. Despite receiving a rather mixed to negative response, the film became a box office success, grossing US$180 million internationally. Though DiCaprio's performance was generally well-received, with Entertainment Weekly critic Owen Gleiberman writing that "the shockingly androgynous DiCaprio looks barely old enough to be playing anyone with hormones, but he's a fluid and instinctive actor, with the face of a mischievous angel," he was awarded a Golden Raspberry Award for Worst Screen Couple for both incarnations the following year. DiCaprio's next project was the drama film The Beach (2000), an adaption of Alex Garland's 1996 novel of the same name. He played an American backpacking tourist looking for the perfect way of life in a secret island commune in the Gulf of Thailand. Budgeted at $US50 million, the film became a financial success, grossing $US144 million worldwide, but as with DiCaprio's previous project, the film was largely panned by critics. Todd McCarthy of Variety noted that "Richard [DiCaprio's role] is too much the American Everyman and not enough of a well-defined individual to entirely capture one's interest and imagination, and DiCaprio, while perfectly watchable, does not endow him with the quirks or distinguishing marks to make this man from nowhere a dimensional character." The next year, he was nominated for another Razzie Award for his work on the film. DiCaprio's first film of 2002 was the biographical crime drama film Catch Me If You Can, based on the life of Frank Abagnale Jr., who, before his 19th birthday, used his charm, confidence, and several different personas, to make millions in the 1960s writing bad checks. Directed by Steven Spielberg, the film was shot in 147 different locations in only 52 days, making it "the most adventurous, super-charged movie-making" DiCaprio had experienced yet. Catch Me If You Can received favorable reviews and proved to be an international success, becoming DiCaprio's highest-grossing film since Titanic with a total of US$351.1 million worldwide. Roger Ebert praised his performance, and noted that while "DiCaprio, who in recent films [...] has played dark and troubled characters, is breezy and charming here, playing a boy who discovers what he is good at, and does it." 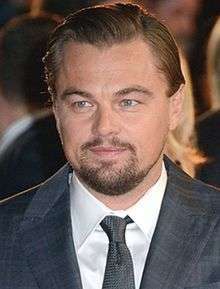 The following year, DiCaprio received his third Golden Globe nomination for his work in the film. Also in 2002, DiCaprio appeared in Martin Scorsese's Gangs of New York, a historical film set in the mid-19th century in the Five Points district of New York City. Director Scorsese initially struggled selling his idea of realizing the film until DiCaprio became interested in playing protagonist Amsterdam Vallon, a young leader of the Irish faction, and thus, Miramax Films got involved with financing the project. Nonetheless production on the film was plagued by blown-out budgets and producer-director squabbles, resulting in a marathon eight-month shoot and, at US$103 million, the most expensive film Scorsese had ever made. Upon its release, Gangs of New York became a financial and critical success. DiCaprio's acting was well-received but was overshadowed by Daniel Day-Lewis' performance among most critics. Forging a collaboration with Scorsese, the two paired again for a biopic of the eccentric and obsessive American film director and aviation pioneer Howard Hughes in The Aviator (2004). Centering on Hughes' life from the late 1920s to 1947, DiCaprio initially developed the project with Michael Mann, who decided against directing it after back-to-back film biographies in Ali and The Insider. The actor eventually pitched John Logan's script to Scorsese, who quickly signed on to direct. The Aviator became a critical and financial success. 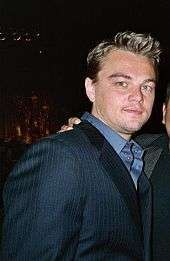 DiCaprio received rave reviews for his performance and won a Golden Globe Award for Best Actor, also receiving another Academy Award nomination. In 2005, DiCaprio was made a commander of the Ordre des Arts et des Lettres by the French Minister of Culture for his contributions to the arts. The following year, the actor starred in both Blood Diamond and The Departed. In Edward Zwick's war film Blood Diamond, he starred as a diamond smuggler from Rhodesia who is involved in the Sierra Leone Civil War. 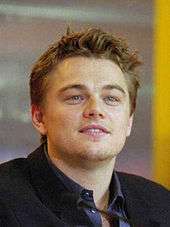 The film itself received generally favorable reviews, and DiCaprio was praised for the authenticity of his South African Afrikaner accent, known as a difficult accent to imitate. In Scorsese's The Departed he played the role of Billy Costigan, a state trooper working undercover in an Irish Mob in Boston. Highly anticipated, the film was released to overwhelmingly positive reviews and became one of the highest-rated wide release films of 2006. Budgeted at US$90 million, it also emerged as DiCaprio and Scorsese's highest-grossing collaboration to date, easily beating The Aviator´s previous record of US$213.7 million. 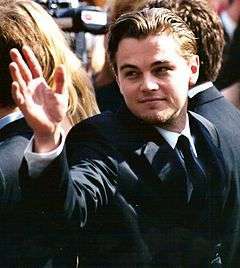 DiCaprio's performance in The Departed was applauded by critics and earned him a Satellite Award for Best Supporting Actor. The same year, both the Golden Globes and the Screen Actors Guild nominated DiCaprio twice in the Best Actor category for both of his 2006 features, and in addition, DiCaprio earned his third Academy Award nomination for Blood Diamond. The same year, DiCaprio reunited with Kate Winslet to film the drama Revolutionary Road (2008), directed by Winslet's then-husband Sam Mendes. As both actors had been reluctant to make romantic films similar to Titanic, it was Winslet who suggested that both should work with her on a film adaptation of the 1961 novel of the same name by Richard Yates after reading the script by Justin Haythe, knowing that plot had little in common with the 1997 blockbuster. Once DiCaprio agreed to do the film, it went almost immediately into production. He noted that he saw his character as "unheroic" and "slightly cowardly" and that he was "willing to be just a product of his environment." Portraying a couple in a failing marriage in the 1950s, DiCaprio and Winslet watched period videos promoting life in the suburbs to prepare themselves for Revolutionary Road, which eventually earned them favorable reviews. 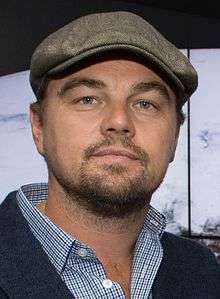 For his portrayal DiCaprio garnered his seventh Golden Globes nomination. DiCaprio continued his collaborative streak with Scorsese in the 2010 psychological thriller film Shutter Island (2010), based on the 2003 novel of the same name by Dennis Lehane. He played U.S. Marshal Edward "Teddy" Daniels, who is investigating a psychiatric facility located on an island and comes to question his own sanity. The film grossed $294 million. Also in 2010, DiCaprio starred in director Christopher Nolan's science-fiction film Inception, also starring Marion Cotillard, Tom Hardy, Joseph Gordon-Levitt, Cillian Murphy, Ken Watanabe, Tom Berenger and Michael Caine. Inspired by the experience of lucid dreaming and dream incubation, DiCaprio portrays the character of Dom Cobb, an "extractor" who enters the dreams of others to obtain information that is otherwise inaccessible. Cobb is promised a chance to regain his old life in exchange for planting an idea in a corporate target's mind. DiCaprio was "intrigued by this concept — this dream-heist notion and how this character's gonna unlock his dreamworld and ultimately affect his real life." Released to critical acclaim, the film grossed over $825 million worldwide. To star in this film, DiCaprio agreed to a pay cut from his $20 million fee, in favor of splitting first-dollar gross points, which means he receives money coming directly off the top of ticket sales. This risk paid off, with DiCaprio earning $50 million from the film to become his highest payday yet. In July 2010, it was announced that DiCaprio had pulled out of a Viking movie to be directed by Mel Gibson amid controversy over Gibson's rage-fueled rant tapes and domestic violence probe. In 2011, DiCaprio starred alongside Armie Hammer and Naomi Watts in Clint Eastwood's J. Edgar, a biopic about J. Edgar Hoover. Written by Dustin Lance Black, the film focuses on the career of the FBI director from the Palmer Raids onwards, including an examination of his private life as an alleged closeted homosexual. Reviews towards the film were mostly mixed, with many critics commending DiCaprio's performance but feeling that, overall, the film lacked coherence. Roger Ebert praised DiCaprio's performance as a "fully-realized, subtle and persuasive performance, hinting at more than Hoover ever revealed, perhaps even to himself." DiCaprio's next film was The Great Gatsby, again with Baz Luhrmann (who directed him in Romeo + Juliet in 1996), an adaptation of F. Scott Fitzgerald's 1925 novel, also starring Carey Mulligan and Tobey Maguire; the film was released on May 10, 2013. It received mixed reviews from critics, however DiCaprio's portrayal as Jay Gatsby was praised. Critic Rafer Guzman of Newsday praised DiCaprio by stating, "As for Leonardo DiCaprio, he is now the Gatsby to beat. Despite a borderline comedic entrance – haloed by fireworks and accompanied by Gershwin's "Rhapsody in Blue"—DiCaprio nails this maddeningly enigmatic character. He's as tough as Alan Ladd in '49, as suave as Redford in '74, but also vulnerable, touching, funny, a faker, a human. You hear it all in Gatsby's favorite phrase, "old sport," a verbal tic that stumped other actors. It's a tremendous, hard-won performance." Matt Zoller Seitz of Roger Ebert.com described his performance as Gatsby as "The movie's greatest and simplest special effect," and states "This is an iconic performance — maybe his career best." The film grossed $348 million worldwide and became Luhrmann's highest-grossing film. DiCaprio reunited with Scorsese for the fifth time in The Wolf of Wall Street, a film based on the life of stockbroker Jordan Belfort, who was arrested in the late 1990s for securities fraud and money laundering. Filming began on August 8, 2012, in New York, and the film was released on December 25, 2013. The role earned him a Golden Globe Award for Best Actor in a Musical or Comedy and his fourth Academy Award nomination for acting. In January 2013, DiCaprio said he was going to take a long break from acting and would "fly around the world doing good for the environment." In 2015, DiCaprio played fur trapper Hugh Glass in the survival drama The Revenant, directed by Alejandro G. Iñárritu. The film was well received by critics and DiCaprio's performance garnered universal acclaim that earned him numerous awards, including his first win at the Academy Awards in the Best Actor category, his eleventh nomination and third win at Golden Globes in the Best Actor Drama category, and his first BAFTA award for Best Actor. On August 10, 2015, it was announced that Martin Scorsese will direct an adaptation of Erik Larson's The Devil in the White City, which will star DiCaprio with a screenplay to be written by Billy Ray. In October 2015, Appian Way acquired the movie rights for a book about the Volkswagen emissions scandal. On October 21, 2016, it was announced that DiCaprio will portray Sam Phillips, founder of Memphis-based Sun Studio, in the forthcoming film based on Peter Guralnick's book Sam Phillips: The Man Who Invented Rock ‘N’ Roll. DiCaprio's romantic relationships have been widely covered in the media. He dated actress Bijou Phillips, model Kristen Zang, and model and socialite Emma Miller. In 2000, he met Brazilian model Gisele Bündchen, whom he dated until 2005. He was romantically involved with Israeli model Bar Refaeli from 2005 to 2011, during which time he met with Israeli president Shimon Peres and visited Refaeli's hometown of Hod HaSharon. DiCaprio owns a home in Los Angeles, California and an apartment in Battery Park City, New York. In 2009, he bought an island off mainland Belize, on which he is planning to create an eco-friendly resort. In 2014, he purchased the original Dinah Shore residence designed by mid-century modern architect Donald Wexler in Palm Springs, California. In 2005, DiCaprio's face was severely injured when model Aretha Wilson hit him over the head with a broken bottle at a Hollywood party. After pleading guilty in 2010, Wilson was sentenced to prison for two years. During the 2004 presidential election, DiCaprio campaigned and donated to John Kerry's presidential bid. The FEC showed that DiCaprio gave $2,300 to Barack Obama's presidential campaign in the 2008 election, the maximum contribution an individual could give in that election cycle, and $5,000 to Obama's 2012 campaign. Following the success of Titanic in 1997 along with earlier films, 24-year-old DiCaprio established the Leonardo DiCaprio Foundation in 1998, a non-profit organization devoted to promoting environmental awareness. Although concerned with all areas of the environment, it focuses on global warming, preserving Earth's biodiversity and supporting renewable energy. It has worked on projects in over 40 countries and has produced two short web documentaries, Water Planet and Global Warning. DiCaprio chaired the national Earth Day celebration in 2000, where he interviewed President Bill Clinton and they discussed plans to deal with global warming and the environment. In 2007 he had a major role in The 11th Hour, a documentary about people's relationship to nature and global warming. He co-produced, co-wrote and narrated the film. From a benefit "11th Hour" fine art auction he organized in 2013, he raised nearly $40 million to toward his foundation. He told attendees, "Bid as if the fate of the planet depended on us." It became the world's highest-grossing environmental charity event ever held. DiCaprio states that global warming is the world's "number-one environmental challenge". In July 2016 his foundation awarded $15.6 million to help protect wildlife and the rights of Native Americans, along with combating climate change. He has been an active supporter of numerous environmental organizations and has sat on the board of the World Wildlife Fund, Global Green USA, International Fund for Animal Welfare and the Natural Resources Defense Council. He traveled to Indonesia in early 2016 where he criticized the government's palm oil industry's slash-and-burn forest clearing methods. In 1998, DiCaprio and his mother donated $35,000 for a "Leonardo DiCaprio Computer Center" at the Los Feliz branch of the Los Angeles Public Library, the site of his childhood home. It was rebuilt after the 1994 Northridge earthquake and opened in early 1999. During the filming of Blood Diamond, DiCaprio worked with 24 orphaned children from the SOS Children's Village in Maputo, Mozambique, and was said to be extremely touched by his interactions with the children. In 2010, he donated $1 million to relief efforts in Haiti after the earthquake. In November 2010, DiCaprio donated $1 million to the Wildlife Conservation Society at Russia's tiger summit. DiCaprio's persistence in reaching the event after encountering two plane delays caused then Prime Minister Vladimir Putin to describe him as a "muzhik" or "real man". In 2011, DiCaprio joined the Animal Legal Defense Fund's campaign to free Tony, a tiger who has spent the last decade at the Tiger Truck Stop in Grosse Tete, Louisiana. In April 2013, DiCaprio donated $61,000 to GLAAD, an organization which promotes the image of LGBT people in the media. ↑ "Leonardo DiCaprio". Encyclopædia Britannica. Retrieved July 29, 2015. ↑ "Leonardo DiCaprio". People. Retrieved December 11, 2014. ↑ Letran, Vivan (August 19, 2000). "DiCaprio Boosts Artist's Show". Los Angeles Times. Retrieved July 29, 2015. 1 2 3 Catalano, Grace (February 1997). Leonardo DiCaprio: Modern-Day Romeo. New York, New York: Dell Publishing Group. pp. 7–15. ISBN 0-440-22701-1. ↑ "Leonardo DiCaprio; Scumsville superstar; His Parents Were Hippies and He Grew Up in the Poorest Part of Town – The People (London, England) – HighBeam Research". HighBeam Research. April 19, 1998. Retrieved January 13, 2009. ↑ "Poverty and family split spurred Leo to pounds 3m a film Titanic stardom; Gran tells of screen idol's battle". HighBeam Research. January 28, 1998. Retrieved January 13, 2009. ↑ Slavicek, Louise Chipley (2012). Leonardo DiCaprio. Infobase Learning. p. 78. ISBN 978-1-4381-4133-6. ↑ Nickel Anhalt, Karen (August 6, 2008). "Leonardo DiCaprio's Grandmother Dies". People. Retrieved August 11, 2015. ↑ Silverman, Stephen M. (April 22, 2003). "Russians Lift Vodka Glasses to DiCaprio". People. Retrieved August 12, 2015. ↑ "Vladimir Putin: Leonardo DiCaprio is a 'real man'". The Daily Telegraph. November 24, 2010. Retrieved August 8, 2011. ↑ "Vladimir Putin: Leonardo DiCaprio is a 'real man'". The Daily Telegraph. November 24, 2010. Retrieved August 12, 2015. ↑ "Leonardo Dicaprio". E!. Archived from the original on March 28, 2009. Retrieved January 13, 2009. ↑ Green, Jesse (February 12, 1995). "FRESH BLOOD; LEONARDO DiCAPRIO". The New York Times. Retrieved June 14, 2016. ↑ "Los Angeles Center For Enriched Studies: Facts about LACES". Los Angeles Center for Enriched Studies. Retrieved May 15, 2013. ↑ Slavicek, Louise Chipley (2012). Leonardo DiCaprio. New York: InfoBase Learning. ISBN 9781438141336. Retrieved September 26, 2014. ↑ "Leonardo DiCaprio from High School Dropouts". E!. Retrieved September 26, 2014. 1 2 3 4 5 O'Neill, Anne-Marie (January 26, 2001). "Riding The Wave". People. Retrieved August 2, 2010. ↑ "Leonardo DiCaprio through the years". Retrieved June 27, 2014. 1 2 3 Harmetz, Aljean (December 12, 1993). "The Actor Is Boyishly Handsome, and That's a Liability". The New York Times. Retrieved August 2, 2010. ↑ "What's Eating Gilbert Grape (1993)". The-Numbers. Retrieved August 2, 2010. ↑ Maslin, Janet (December 17, 1993). "Movie Review: What's Eating Gilbert Grape". The New York Times. Retrieved July 30, 2010. ↑ "The Quick and the Dead (1995)". The-Numbers. Retrieved August 2, 2010. ↑ Green, Jesse (February 12, 1995). "Fresh Blood". The New York Times. Retrieved August 2, 2010. ↑ "Total Eclipse (1995)". The-Numbers. Retrieved August 2, 2010. ↑ "A glimpse of Leo the young lion". The Daily Telegraph. February 16, 2001. Retrieved August 26, 2015. ↑ Travers, Peter (April 21, 1995). "The Basketball Diaries". Rolling Stone. Retrieved August 26, 2015. ↑ "Romeo + Juliet (1996)". Box Office Mojo. Retrieved January 13, 2009. ↑ Marks, Peter (December 8, 1996). "Two Wrenching Dramas Find Unexpected New Lives". The New York Times. Retrieved July 13, 2010. ↑ Schwarzbaum, Lisa (December 20, 1996). "Marvin's Room (1996)". Entertainment Weekly. Retrieved August 2, 2010. ↑ "Titanic. Man Overboard!". Entertainment Weekly. November 7, 1997. pp. 1–7. Retrieved January 24, 2010. ↑ Hiscock, John (December 4, 2004). "Leonardo DiCaprio's Magnificent Obsessive". The Daily Telegraph. London. Retrieved August 3, 2010. ↑ Winston, Sherri (May 5, 1998). "Leomania / Like Sinatra, Elvis And The Beatles Before Him, The Young Star Of Titanic Is Turning The World Of Teen-age Girls Upside Down.". Sun-Sentinel. Retrieved October 23, 2015. ↑ Busch, Anita M. (March 6, 1998). "Was Leonardo Robbed?". Entertainment Weekly. Retrieved November 23, 2013. ↑ "What's Eating Leonardo DiCaprio". Time. February 21, 2000. Retrieved January 13, 2009. ↑ The Man in the Iron Mask Rotten Tomatoes. Retrieved May 8, 2010. ↑ "The Man in the Iron Mask (1998)". The-Numbers. Retrieved July 13, 2010. ↑ Gleiberman, Owen (March 12, 1998). "The Man in the Iron Mask (1998)". Entertainment Weekly. Retrieved July 13, 2010. ↑ "The Man in the Mask (1998) – Leonardo DiCaprio: his career in pictures". The Daily Telegraph. Retrieved September 4, 2015. ↑ "The Beach (2000)". The-Numbers. Retrieved August 3, 2010. ↑ "The Beach (2000)". Rotten Tomatoes. Retrieved August 27, 2008. ↑ McCarthy, Todd (February 7, 2000). "The Beach Review". Variety. Retrieved August 3, 2010. ↑ "Daily News – Catch Me If You Can". Extra. December 12, 2002. Retrieved July 3, 2008. ↑ "Catch Me If You Can (2002)". The-Numbers. Retrieved August 3, 2010. ↑ Ebert, Roger (September 25, 2002). "Catch Me If You Can (2002) Review". Chicago Sun-Times. Retrieved August 3, 2010. ↑ "'Chicago' grabs 8 Golden Globe nominations". CNN. January 18, 2003. Retrieved July 8, 2015. 1 2 "Scorsese's Gang Of Acting Heavyweights". The Age. Melbourne. February 10, 2003. Retrieved August 3, 2010. ↑ "Gangs of New York (2002)". The-Numbers. Retrieved August 3, 2010. ↑ "Leonardo DiCaprio: Ranking His Movie Roles". Entertainment Weekly. Retrieved August 11, 2015. 1 2 Thompson, Anne (December 22, 2002). "How Do You Like Your Leonardo DiCaprio? Butch Or Boyish? The Choice Is Yours". The Guardian. Retrieved August 3, 2010. ↑ "The Aviator (2004)". Rotten Tomatoes. Retrieved November 17, 2009. ↑ "2004 Golden Globe Awards nominees". USA Today. December 13, 2004. Retrieved July 8, 2015. ↑ "Nominees & Winners for the 77th Academy Awards". Academy of Motion Picture Arts and Sciences. Retrieved July 12, 2015. ↑ "France honours Scorsese and DiCaprio". BBC News. January 6, 2005. Retrieved December 30, 2014. ↑ "Blood Diamond". Metacritic. Retrieved June 29, 2010. ↑ Sancton, Julian (December 16, 2009). "Matt Damon vs. Leonardo DiCaprio: Whose South African (and Southie) Accent is Better?". Vanity Fair. Retrieved August 11, 2015. ↑ "The Departed (2006)". Rotten Tomatoes. Retrieved October 17, 2009. ↑ "The Departed (2006)". The-Numbers. Retrieved August 4, 2010. ↑ "2006 Winners". International Press Academy. Retrieved August 3, 2015. ↑ "The 13th Annual Screen Actors Guild Awards". Screen Actors Guild Awards. Retrieved July 8, 2015. ↑ "64th Golden Globe Awards Facts and Figures". Hollywood Foreign Press Association. December 14, 2006. Archived from the original on July 9, 2015. Retrieved July 8, 2015. ↑ Cashin, Rory (June 18, 2013). "Opinion: Why has Leonardo DiCaprio never won an Oscar?". The Irish Times. Retrieved July 8, 2015. 1 2 Carroll, Larry (August 15, 2007). "Leonardo DiCaprio And Russell Crowe Will Be A Good 'Fit' In CIA Flick, Ridley Scott Hopes". MTV. Archived from the original on March 12, 2009. Retrieved November 30, 2007. ↑ "Body of Lies (2008)". Rotten Tomatoes. Retrieved February 20, 2008. ↑ "Body Of Lies(2008)". The-Numbers. Retrieved July 20, 2010. ↑ Wong, Grace (January 23, 2009). "DiCaprio Reveals Joys Of Fighting With Winslet". CNN. Retrieved January 23, 2009. ↑ McGrath, Charles (December 14, 2008). "Kate! Leo! Gloom! Doom! Can It Work?". The New York Times. Retrieved May 27, 2009. ↑ Guzmán, Rafer (December 18, 2008). "Leonardo DiCaprio, Kate Winslet in 'Revolutionary Road'". Newsday. Retrieved August 11, 2015. ↑ "Revolutionary Road (2008)". Rotten Tomatoes. Retrieved February 20, 2008. ↑ "Complete List of Nominations for 2009 Golden Globes". E!. December 11, 2008. Retrieved July 8, 2015. ↑ "Shutter Island (2010)". Box Office Mojo. Retrieved May 20, 2013. ↑ Sheila, Marikar (July 16, 2010). "Inside 'Inception': Could Christopher Nolan's Dream World Exist in Real Life? Dream Experts Say 'Inception's' Conception of the Subconscious Isn't Far From Science". ABC News. Retrieved July 31, 2015. ↑ Honeycutt, Kirk (October 14, 2010). "Inception – Film Review". The Hollywood Reporter. Retrieved August 11, 2015. ↑ Empire, July 2010, pp. 93–94. ↑ "Inception (2010)". Box Office Mojo. Retrieved May 20, 2013. ↑ Bacardi, Francesca (January 22, 2014). "Jonah Hill Was Paid $60,000 for 'Wolf of Wall Street'". Variety. Retrieved July 30, 2015. ↑ Kaufman, Gil (June 29, 2010). "Leonardo DiCaprio Pulls Out of Mel Gibson Viking Movie". MTV News. Retrieved July 5, 2010. ↑ Sperling, Nicole (March 10, 2010). "Clint Eastwood to direct J. Edgar Hoover biopic". Entertainment Weekly. Retrieved August 11, 2015. ↑ Judge, Michael (January 29, 2011). "A Hollywood Icon Lays Down the Law". The Wall Street Journal. Retrieved February 18, 2011. ↑ "J. Edgar (2011)". Rotten Tomatoes. Retrieved November 10, 2011. ↑ Ebert, Roger (November 8, 2011). "J. Edgar". Chicago Sun-Times. Retrieved November 9, 2011. ↑ Bradshaw, Peter (January 18, 2013). "Django Unchained – review". The Guardian. Retrieved August 11, 2015. ↑ "Quentin Tarantino's 'Django Unchained': How Panic Attacks and DiCaprio's Real Blood Made a Slavery Epic Better". The Hollywood Reporter. Retrieved February 28, 2016. ↑ "Django Unchained". Flixster. Rotten Tomatoes. Retrieved December 31, 2012. ↑ Reynolds, Simon (December 13, 2012). "Golden Globes nominations 2013: Movies list in full". Digital Spy. Archived from the original on October 6, 2014. Retrieved December 13, 2012. ↑ "Django Unchained (2012)". Box Office Mojo. Retrieved June 22, 2013. ↑ "The Great Gatsby (12A)". British Board of Film Classification. February 25, 2013. Retrieved February 25, 2013. ↑ McClintock, Pamela (August 6, 2012). "Warner Bros. Moves 'Great Gatsby' to Summer 2013". The Hollywood Reporter. Retrieved August 6, 2012. ↑ "The Great Gatsby". Metacritic. Retrieved July 6, 2013. ↑ Guzman, Rafer (May 10, 2013). "The Great Gatsby' review: A good 'Gatsby,' but a great Leonardo DiCaprio". Newsday. Retrieved July 6, 2013. ↑ Seitz, Matt Zoller (May 8, 2013). "The Great Gatsby Review". RogerEbert.com. Retrieved July 7, 2013. ↑ "The Great Gatsby (2013)". Box Office Mojo. Amazon.com. Retrieved July 6, 2013. ↑ "Baz Luhrmann". Box Office Mojo. Retrieved September 15, 2013. ↑ "Leonardo DiCaprio and Martin Scorsese reunite for 'The Wolf of Wall Street'". HitFix. March 15, 2012. Retrieved April 15, 2012. ↑ "TOLDJA! Martin Scorsese, Leonardo DiCaprio Commit To 'The Wolf Of Wall Street'". Deadline.com. April 19, 2012. Retrieved April 19, 2012. ↑ "The Wolf of Wall Street: a walking tour". The Daily Telegraph. Retrieved August 11, 2015. ↑ Eby, Margaret (October 30, 2013). "'The Wolf of Wall Street' second trailer debuts; movie will open on Christmas Day". Daily News. New York. Retrieved December 21, 2013. 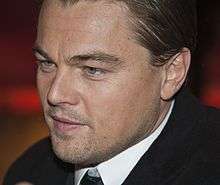 ↑ "Leonardo DiCaprio plans to take break from acting". CBS News. January 22, 2013. Retrieved August 11, 2015. ↑ Kit, Borys (April 15, 2014). "Leonardo DiCaprio, Alejandro Gonzalez Inarritu Team Up for 'Revenant'". The Hollywood Reporter. Retrieved September 8, 2014. ↑ "Review: 'The Revenant' A Mesmerizing, Brilliant Film". Forbes. December 11, 2015. Retrieved December 10, 2015. ↑ Benjamin Lee (November 23, 2015). "The Revenant: first reactions to DiCaprio thriller suggest Oscar potential". The Guardian. Retrieved December 14, 2015. ↑ Rebecca Keegan (November 23, 2015). "Leonardo DiCaprio's 'The Revenant' is a brutal test for awards voters". Los Angeles Times. Retrieved December 14, 2015. ↑ "Live: Leonardo DiCaprio wins Best Actor, Spotlight is Best Picture at Oscars 2016". The Hindu. February 29, 2016. ISSN 0971-751X. Retrieved February 29, 2016. ↑ "Leonardo DiCaprio finally claims his Best Actor Award, and Spotlight wins Best Picture". The Daily Telegraph. 29 February 2016. ↑ "Golden Globes 2015: The complete list of nominees and winners". Los Angeles Times. December 10, 2015. Retrieved December 10, 2015. ↑ "Scorsese and DiCaprio Take on The Devil in the White City". ComingSoon.net. Retrieved September 12, 2015. ↑ "Volkswagen emissions scandal headed for Hollywood". Reuters. Retrieved October 18, 2015. ↑ Miller, Tracy (January 2, 2010). "Leonardo DiCaprio and Sports Illustrated model Bar Refaeli hook up again for New Year's". Daily News. New York. Retrieved January 6, 2010. Leo and Bar also enjoyed a "secret" romantic getaway in the Bahamas in late November, according to multiple reports, sparking rumors they'd decided to work it out. ↑ Bender, Kelli (January 14, 2014). "Tina Fey Was Right: Leonardo DiCaprio's Lengthy List of Model-y Love Affairs". People. Archived from the original on October 22, 2016. Retrieved October 22, 2016. 1 2 Green, Matt. Celebrity Biographies — The Amazing Life Of Leonardo DiCaprio. Matt Green. p. 12. GGKEY:5CE3ZQERE9E. ↑ "Gisele Bündchen biography". People. Retrieved June 29, 2014. ↑ "Leo and Bar. What's Going On?". Ynetnews. July 18, 2006. Retrieved August 15, 2008. ↑ Norman, Pete (March 19, 2007). "Israeli Leader Asks Leonardo DiCaprio for Help – Leonardo DiCaprio". People. Retrieved January 7, 2011. ↑ Brennan, Morgan. "Leonardo DiCaprio: Celebrity 100 Homes". Forbes. Retrieved July 13, 2013. ↑ Satow, Julie (April 3, 2015). "Leonardo DiCaprio Builds an Eco-Resort". The New York Times. Archived from the original on October 22, 2016. Retrieved October 22, 2016. ↑ Beale, Lauren (March 7, 2014). "Leonardo DiCaprio buys Dinah Shore's onetime desert home". Los Angeles Times. Retrieved August 11, 2015. ↑ Daunt, Tina (October 2, 2012). "Julianne Moore, Leonardo DiCaprio and 20+ Other Stars Make Campaign Appeals to Voters (Video)". The Hollywood Reporter. Retrieved August 11, 2015. 1 2 Satow, Julie (April 3, 2015). "Leonardo DiCaprio Builds an Eco-Resort". The New York Times. Retrieved July 18, 2015. ↑ "Green Space: The Leonardo DiCaprio Foundation". Ukula. Archived from the original on February 9, 2008. Retrieved January 13, 2009. ↑ Cheney, Peter. "Drive like Leonardo DiCaprio for ,0,555". The Globe and Mail. Retrieved March 8, 2012. ↑ Mosk, Matthew; Ross, Brian (October 20, 2011). "Car Company Gets U.S. Loan, Builds Cars In Finland". ABC News. Retrieved March 8, 2012. ↑ "Leonardo DiCaprio gets the keys to a ,0,000 car — a hybrid". Los Angeles Times. August 18, 2011. Retrieved March 8, 2012. ↑ "Do Something Awards". Do Something. Retrieved July 15, 2010. ↑ "Leonardo DiCaprio appointed UN climate change representative". BBC News. September 16, 2014. Retrieved September 27, 2014. ↑ Armstrong, Olivia. "Interview With Directors Of 'Cowspiracy: The Sustainability Secret' On Netflix, A Controversial New Documentary". Decider.com. Retrieved February 29, 2016. ↑ Mindock, Clark (1 November 2016). "Leonardo DiCaprio's Climate Change Documentary 'Before The Flood' Can Be Watched For Free Online". International Business Times. Retrieved 30 November 2016. ↑ Griffiths, Kadeen (February 29, 2016). "Transcript Of Leonardo DiCaprio's Oscars Acceptance Speech Gets Political About Climate Change". Bustle.com. Retrieved March 1, 2016. ↑ "DiCaprio Computer Center Opens". Associated Press. April 9, 1999. Retrieved November 2, 2014. ↑ "Leonardo DiCaprio". SOS Children's Villages – USA. Archived from the original on January 6, 2009. Retrieved January 13, 2009. ↑ Vena, Jocelyn (January 22, 2010). "Leonardo DiCaprio Donates $1 Million For Haiti Relief". MTV News. Retrieved July 18, 2015. ↑ "Summit agrees tiger recovery plan". BBC News. November 24, 2010. Retrieved August 11, 2015. ↑ Hannamayj (November 25, 2010). "Vladimir Putin: Leonardo DiCaprio is 'A Real Man'". Time. Retrieved August 11, 2015. ↑ "Leonardo Speaks Out For Tony: "We Need to Act Now"". Animal Legal Defense Fund. Retrieved April 29, 2011. ↑ Malkin, Marc (April 23, 2013). "Leonardo DiCaprio Donates $61,000 to Support Gay Rights at Annual GLAAD Media Awards". E!. Retrieved July 29, 2015.